Effectively and efficiently deliver products and services which contribute to their success. The Lancaster Real Estate Board@ was incorporated on October 27, 1950. Trustees at that time were Larkin Durdin, David Macioci, E.M. Kane & Bruce Harner. There were 17 members. 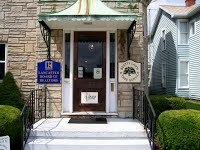 On June 25, 1960 the name was changed to Lancaster Board of REALTORS@ with Trustees Leonard Gorsuch, H. William Fisher and James Wagonseller. The Lancaster Board of Realtors has grown to almost 300 Realtor and Affiliate Members and their membership spans across Fairfield, Hocking, Perry, Pickaway, Franklin, Muskingum and Licking Counties.